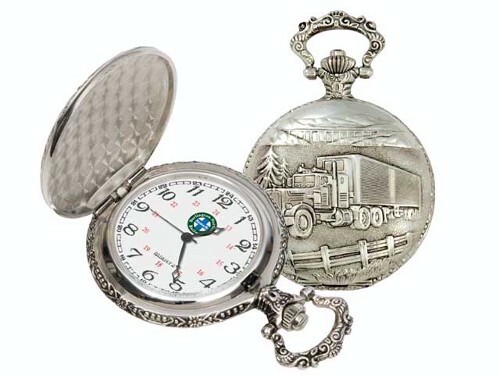 Silver tone pocketwatch with alloy case and matching chain. Japanese movement. White dial. Imprinting and engraving available. * Imprint Area (Dial): 0.70"